Lionel Messi did it again on Matchday 30 of the LaLiga season. 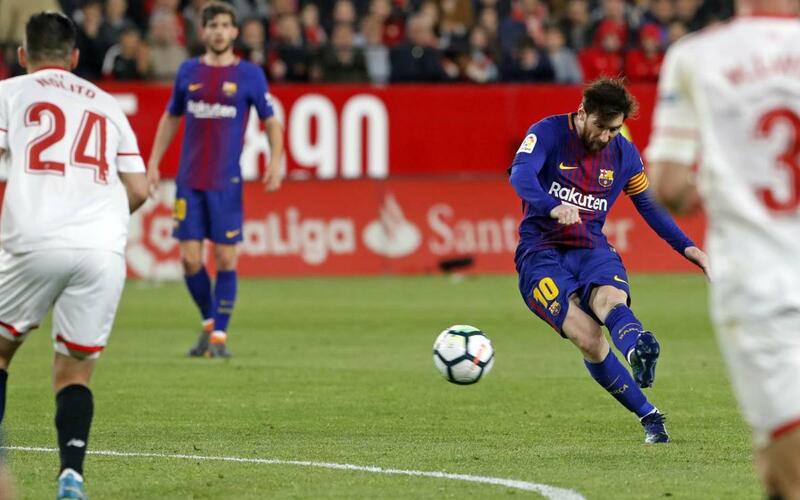 With FC Barcelona trailing the game against Sevilla, the Argentine -who had been brought on as a sub in the 58th minute- provided a moment of magic to equalise. A great shot with plenty of effect beat opposition goalkeeper Sergio Rico and claimed a vital point for Barça, two minutes from time. The draw continues the Blaugrana's run of 37 games unbeaten. Enjoy Messi's goal from a variety of angles in the accompanying video.